There’s no doubt about it, the skyline in downtown Los Angeles is indeed something to behold. If you’re visiting L.A., be sure to carve out some time during your stay to take in the iconic sight of the downtown skyscrapers. If you don’t know where to start, here are some places you can go that offer fantastic views of the city. Right in the heart of downtown, you’ll find City Hall which opened in 1928. At the time, and up until 1964, it was the tallest building in L.A. Standing at 27 stories high, the building also has a little-known observation deck that is open to the public. With its prime location, you can get great views of the nearby skyscrapers and the surrounding area. Oh, and one more thing, access to the observation deck is entirely FREE! It’s open Monday through Friday from 8 am to 5 pm. Enjoy! 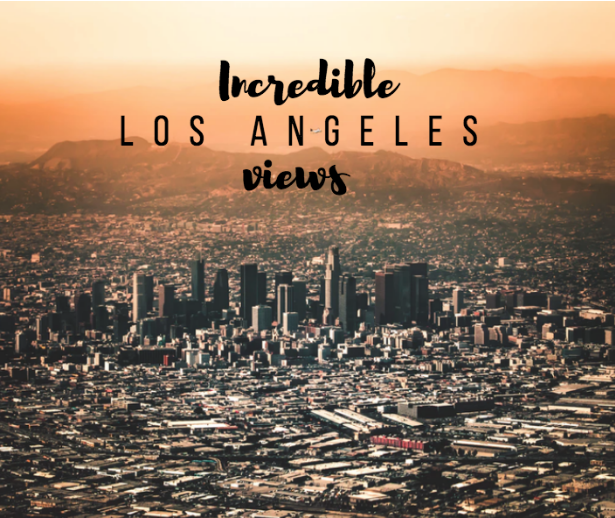 For even higher sights of the city, you’ll want to head to the Griffith Observatory. One of the most visited destinations in L.A., not only is the observatory a great place to learn more about the stars in the sky, but it’s also a great place for stunning views of the city. On a clear day, you can even see all the way to the ocean! Guests have access to the terraces from sunrise until 10 pm, and admission to the observatory is also FREE. For an iconic view of Downtown Los Angeles, you’ll want to visit the Hermosa Natural Park. There’s a bench with an overlook that offers a picture perfect view of the downtown skyline. In addition to the ideal view of the city, the park is also kid friendly and dog-friendly and a nice place for kids to play. Overall, it’s a beautiful green space in the city and can be a great place to grab some food and have a picnic lunch while you take in the sights of the city. You’ll find the part at 100 N. Toluca St in Echo Park.